Many of my posts talk about the technologies we use to develop successful applications at Cloudbakers. 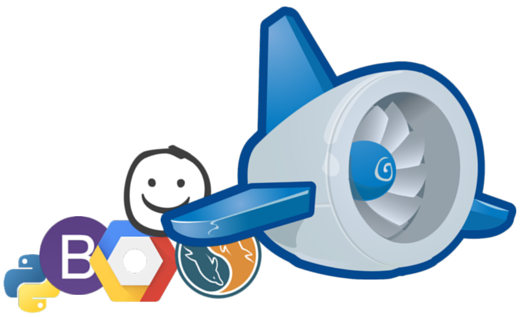 The big one is Google App Engine, but there are plenty others that help us do what we do best. I’d like to take this opportunity to go into even more depth on the systems we use. Warning: It’s a technical post, but still pretty cool! When starting a project or idea, it’s nice to start with a physical representation of your ideas. After a brainstorming session, thoughts and ideas can be sporadic. Creating wireframes or mockups is the best way to get a project moving. Balsamiq allows us to make these wire-frames rapidly, kick-starting process with our clients. Plus, the plugin for Google Drive and the Google Docs Add-On fits in seamlessly with our other systems (and methodology). We are Python evangelists at Cloudbakers. Python makes it incredibly easy to write something quickly and elegantly. Our code reviews are productive (no bickering about bracket placement) and testing new features is a breeze. When we first started doing custom development, we used Webapp2, but Django has been a life-saver. It allows us to dig into our clients businesses logic without having to worry about building database wrappers or CSRF middleware. Plus, the Django community is amazing, with an abundant amount of open-source libraries that allow us to speed up development. Every time I learn something new about Bootstrap, I find myself saying, “Wow.” I can’t see why someone wouldn’t use Bootstrap to start building their interface. It’s quick, easy, looks professional, and is responsive out of the box. At times I still find myself writing my own CSS to accomplish some smaller, more detailed tasks, but using bootstrap to start is a no brainer. Different situations require different types of data storage and we’re SQL ambidextrous at Cloudbakers. We have applications that use MySQL, NoSQL (Google Datastore), or both. It’s easy for us to spin up instances, depending on which storage option suits our needs best. We made the decision to use the Google Cloud Platform (GCP) and Google App Engine (GAE) and haven’t looked back since. I talk about the advantages in this post, but we love how flexible the platform is to use. It’s incredibly cheap to use during development, and during deployment it’s even better! We switched fully to Git sometime last year and we haven’t looked back. 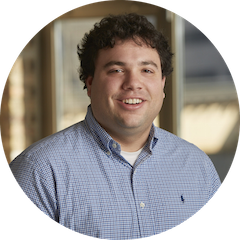 It has not only increased the speed in which we can release new features for our clients, but streamlined our development process. The ability to have three separate branches (dev, release, and master) makes developing SaaS products a breeze. Any of these processes sound interesting to you? You can reach me at alex@cloudbakers.com. Also, we’re hiring!